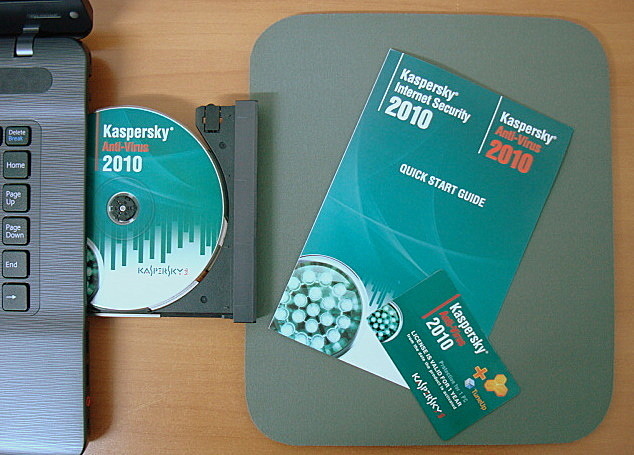 last night i installed a kaspersky anti-virus software in my new sony vaio laptop. i have always been a norton user but this time i thought of changing and trying this one from kaspersky. aside from hearing good feedbacks from people whom i know who were using kaspersky, it was way cheaper compared to norton and i was on a tight budget. when i searched and viewed a kaspersky fan page at facebook, posted on the wall were people from around the world openly asking for activation codes and giving out links of websites full of how-to’s and codes to have the software installed on their computers for free or let’s say, illegally. i don’t really give a f_ck about them doing that but i’m just not into it. i’d rather save and spend some money to purchase it than to get it that way. This entry was posted in stuff stop and tagged anti-virus software, kaspersky, kaspersky anti-virus 2010, kaspersky fan page, kaspersky lab. Bookmark the permalink. AVG Anti-Virus is free ..
.. you still have to purchase their products max if you want ‘full’ security.